Ok. Thanks. It's helpful to know that ahead of time. Sorry for sending conflicting messages. I do have a DUI from 85. I am not going to try to have a lawyer expunge that because in Indiana, a DUI stays on your driving record for life. After finding that out, I intended to be upfront about that being on my record. I have two other misdemeanors that I wanted to clear first, but it sounds like that I should just go ahead and send the pre hire letters. It seems like it would be good to not wait on that. I appreciate the feedback. I am scheduled to start CDL classes in late Oct. at DriveCo. in Gary, IN. I have two misdemeanors, one in 97, and one in 87. (Not DUI or drug related). I am working with a lawyer to have those expunged, but it's going to take a little while. Should I wait to send out prehire letters until this is resolved? Also, I have two speeding tickets. One in 2007 (16 over), and one in 2002, (14 over). I know the more recent ticket could be an issue, because it is classified as reckless driving by insurance companies. I have had no tickets since 2007. I am wanting to take CDL classes, but have a dui (misdemeanor) from 1985. In Indiana, a dui stays on your driving record for life. I could pay an attorney to attempt to have this expunged, but it would be pricey, around 1000 dollars. 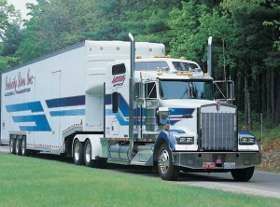 I have seen in previous posts that the advice, when you contact trucking companies, is to answer honestly. Since in my state, it stays on your record for life, is it worthwhile to have it expunged? Specifically, I am wondering about getting prehire letters. Maybe it would be better for me to do this (expungement) before contacting the companies. Any advice would be greatly appreciated.